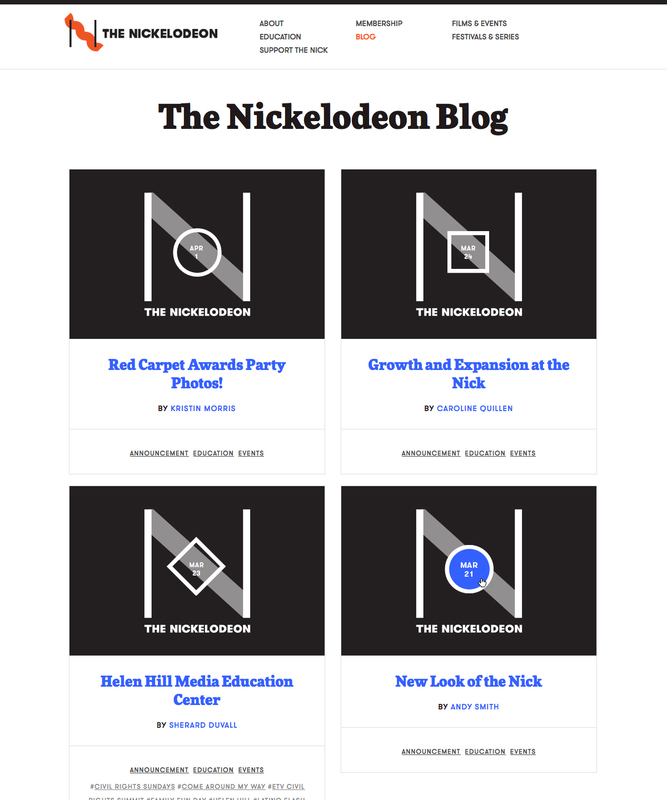 I’m so excited to finally share this project: a new identity and website for The Nickelodeon! 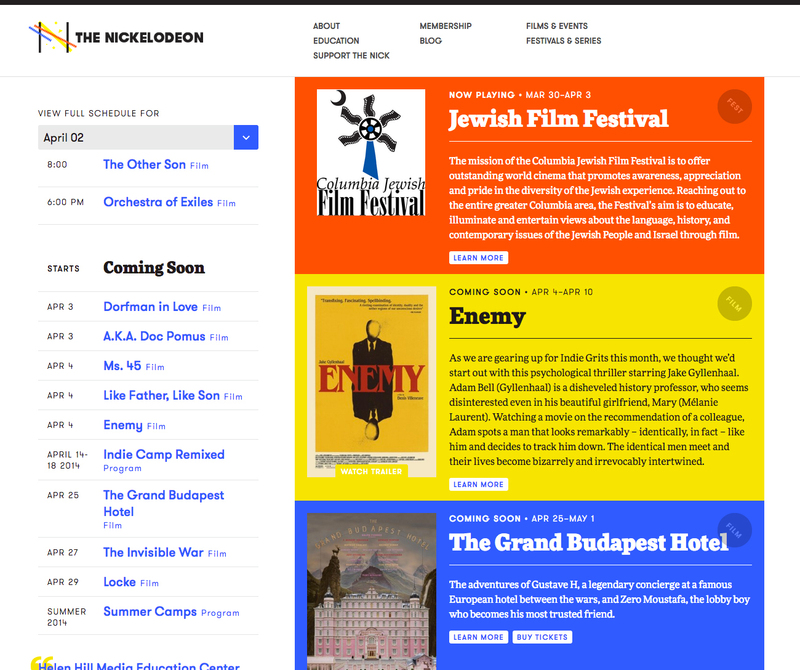 The Nick is an alternative/indie theater in Columbia, South Carolina. For an organization that has a huge influence on local culture, it was important to us to make this rebrand feel intelligent, fun, and a bit off-beat. 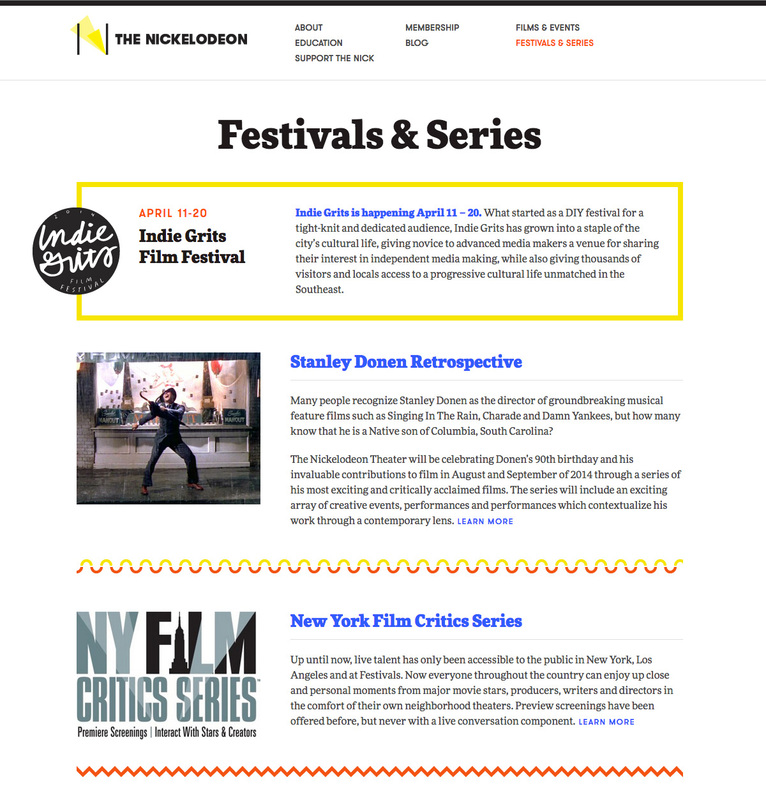 Check back on this page during the Indie Grits festival! The “About” page is actually enormous, and it’s one of my favorites, including the “spine” of staff bios. I’ll spare you, though, and just link to the full thing. 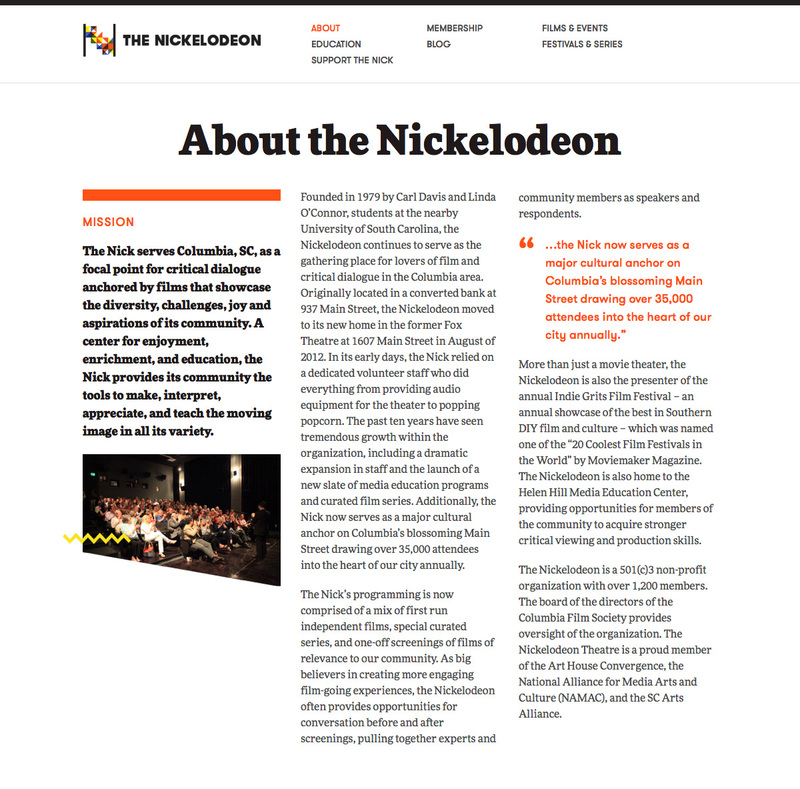 The full site is live at nickelodeon.org. To see more applications of the identity, check out the full project case study on the Fuzzco site. Badass Lady Creatives on the Dribbble Blog Introducing the UFGD c/o 2014!